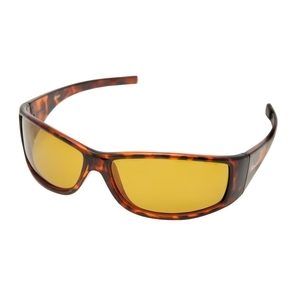 Snowbee Prestige Gamefisher Sunglasses. A stylish new range combining a simple, sleek design with a close-fitting wrap-around style. Lightweight nylon frames fit snugly to the face and wrap-around the sides, with wide frame arms to block peripheral light. This range features lightweight Polycarbonate frames with TAC (Tri-Acetate Cellulose) lenses. This new material offers superb polarisation, coupled with outstanding distortion free optical clarity. A hard lens coating also provides scratch resistance. All Snowbee Sunglasses exceed both the American and European Standards for eye protection in Sunglasses (EN 1836:2005). The UV400 lenses filter out 100% of harmful UVA & UVB radiation, for total eye protection. The polarising filter selectively absorbs 99% of reflected glare, to allow better light contrast and more accurate colour definition for enhanced fish spotting. Includes: Complete with a quality, hard protective case with swivel-clip to attach D-ring or belt loop, a neck lanyard and a micro-fibre cleaning cloth.